Dr. Mike Mango specializes in a wide variety of dental procedures promoting excellent oral health and beautiful smiles. Our Smile Gallery contains examples of the amazing reconstructive and restorative capabilities of our dentists and dentistry team. 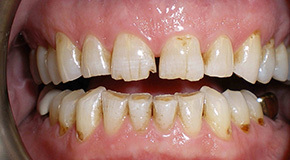 This patient suffered from multiple cavities, chipped and crooked teeth. General lack of dental care may lead to more serious health problems. Let the dental experts at Drs. Mango & Langdon Dentistry take care of all your dental needs. After visiting with the dentists at Drs. 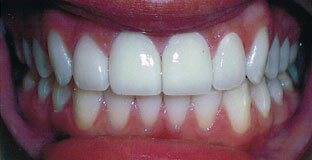 Mango & Langdon Dentistry, our patient decided to enhance hisbeautiful new set of veneers. Now he is able to smile with confidence. This patient unfortunately had excessive wear due the constant grinding on his teeth at night while he slept. This is a common problem and if left untreated could result in serious periodontal disease, and tooth sensitivity. After his visit to Drs. Mango & Langdon Dentistry this patient’s overall oral health and quality of life improved drastically. 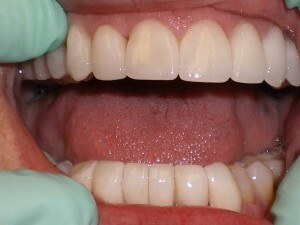 Porcelain crowns and veneers were placed on both the upper and lower teeth. 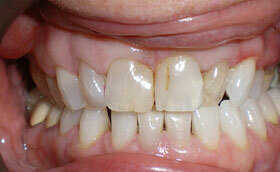 This patient had lost the majority of enamel on her teeth from acid erosion and a medication she was on as a child. Her teeth were sensitive and she never smiled because of their appearance. After her visit to Drs. Mango & Langdon Dentistry this patient’s overall oral health and quality of life improved drastically. 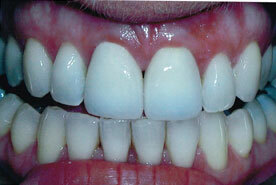 Porcelain veneers and crowns were placed on the teeth to aid in straightening and changing their shape & color. This patient had lost their front two teeth. 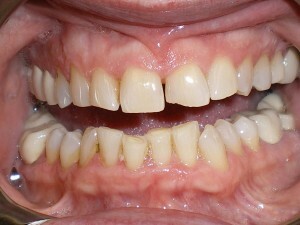 From a cosmetic and practical standpoint the loss of these two teeth is compounded due to their placement in the mouth. It was important to restore these teeth as seamlessly as possible. Fortunately the skill and precision by the staff at Drs. Mango & Langdon Dentistry helped this patient by placing porcelain crowns over the implants. 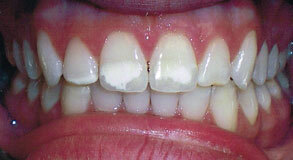 This patient had discoloration on their teeth that resulted in unsightly white spots and blemishes. 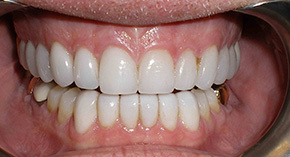 The patient requested a natural look to restore the teeth. After the patient’s visit to Drs. Mango & Langdon Dentistry their smile was restored thanks to a set of beautiful porcelain veneers. A cracked front tooth is one of the most common dental injuries. It is also one of the most visible. This is a problem that needs to be fixed with skill and precision. 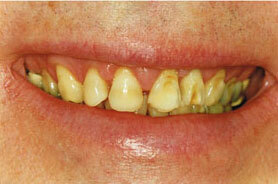 This patient experienced worn dentition; chipped and discoloration of the enamel, uneven teeth. After the patient’s visit to Drs. 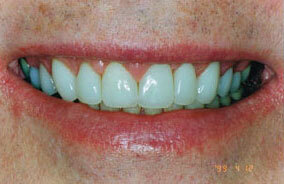 Mango & Langdon Dentistry his beautiful smile was fully restored with porcelain veneers and porcelain crowns.